Large software companies that have selected Acumatica to migrate their industry functionality onto the Acumatica platform (OEMs). Whether your focus is on selling and delivering an award-winning business management solution or developing innovative applications on top of a leading cloud development platform, Acumatica is the vendor of choice for progressive partners. Acumatica provides a great opportunity to expand your offerings and your market. With our best-in-class Cloud ERP, Acumatica relies on ISVs to deliver industry-specific solutions and specialized extensions to our customers through our reseller channel. Browse our Catalog of Extensions. Then learn about the resources Acumatica has available to ISVs and how you can join the Acumatica Developer Network. Stuck on old technology and want to get to the cloud fast? Bring your innovative solutions to market effectively and rapidly. 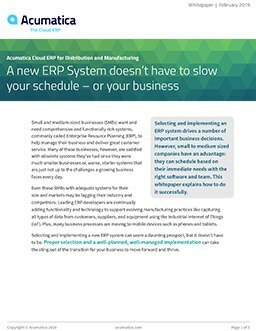 Take advantage of a leading edge technical platform for cloud and mobile that has today’s required business functionality already built-in—such as workflow and document management. Many of our ISVs use the Acumatica’s Cloud xRP platform and the platform has also been adopted by OEM strategic partners such as MYOB, Visma, and ACCEO and vertical ISVs such as JAMIS, Housing Hub and Fuseforward to bring the value of cloud ERP solutions to their customers.